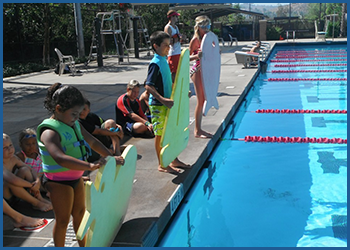 Cove Camp is a day camp for children ages 5-12 that strives to bring adventure and excitement into kids’ lives while also integrating the importance of water safety and the American Red Cross Learn to Swim program. Our carefully selected counselors and facilities ensure that each child has the best day camp experience. Cove Camp includes includes daily swim, water safety lessons, water park time, weekly themed activities and crafts, and much more!